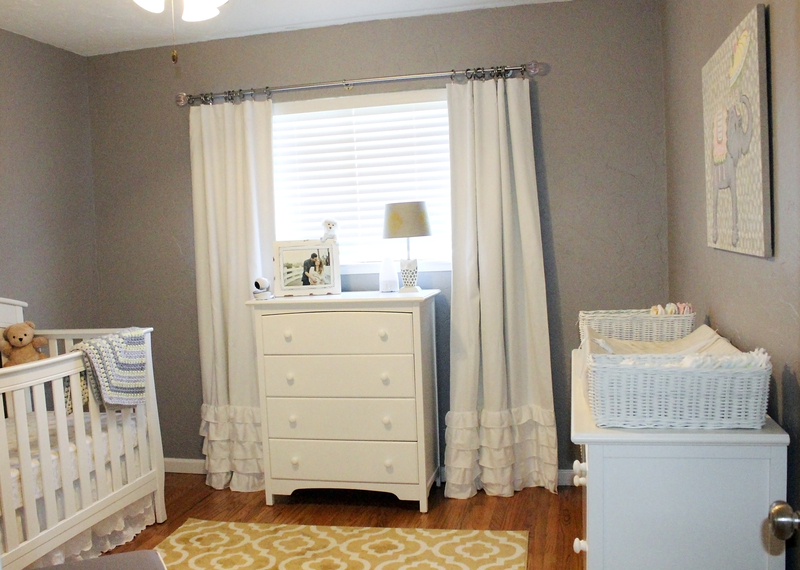 Some of you may be curious about what Claire’s nursery looks like. We are in love with it (and I like to think Claire is too ;)) and are still working on adding some final enhancements to make it perfect. It’s hard to say when a room is ever “done” but hers has been pretty much done for a while. We just want to take it to the next level. Claire’s Nursery! This is the view when you enter the room. 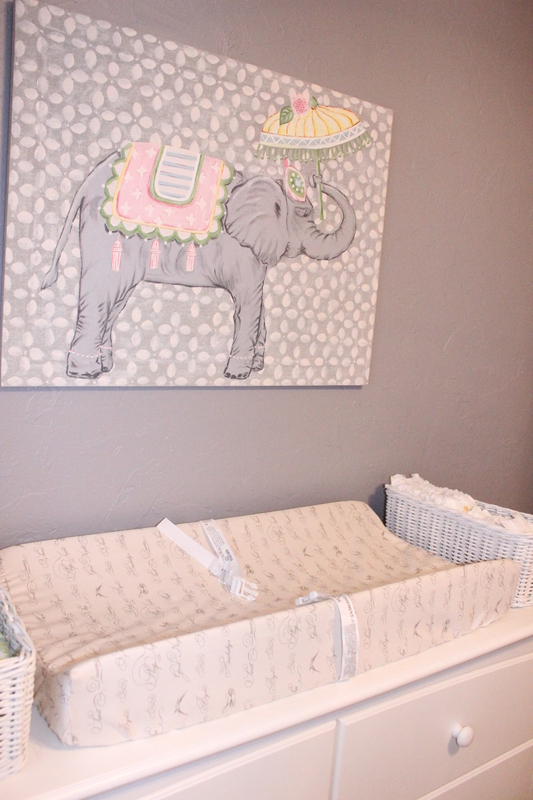 As far as where we got the items for her room – it’s a mixture of Pottery Barn Kids, Amazon, Target, Buy Buy Baby, Cost Plus World Market, and a few other random websites. 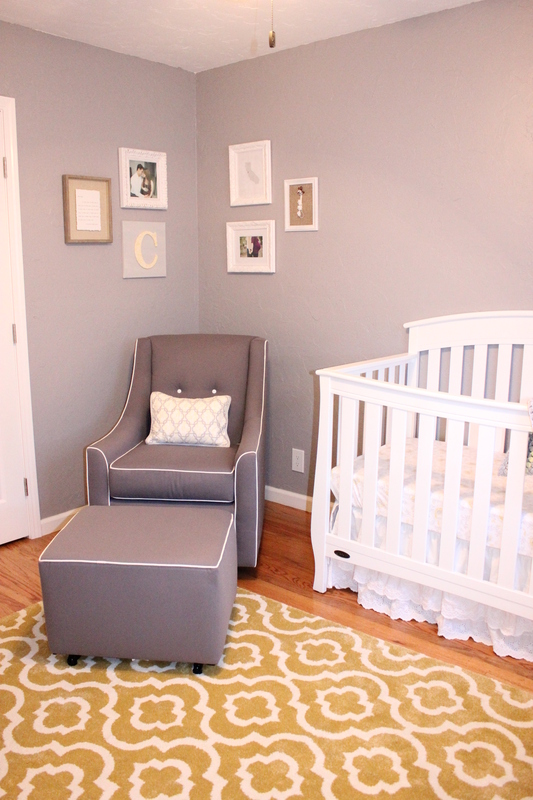 We wanted her nursery to have a gray and soft yellow color scheme and we also wanted it to be classy and feminine. I’m a little obsessed with Pottery Barn Kids rooms so we used their design style as our inspiration. The “C” in the gallery wall was a DIY project. We bought a wooden letter from Michaels, painted it yellow, wrapped it in lace, painted the canvas a light gray, and then hot glued it to the canvas. I’ll have to see if I took pictures through the process and maybe I’ll do a blog post on it. It was super easy and turned out so cute! As far as what we are still planning on doing to her room – we want to add a bookshelf and hang a few pictures. We feel like she needs a bookshelf in her nursery to keep all the children’s books she has and add a little extra decor. It’s taken quite a while to find the perfect one but we finally found one and ordered it a couple days ago. We can’t wait for it to arrive in a couple weeks. It will also be the perfect location for her baby monitor to sit. 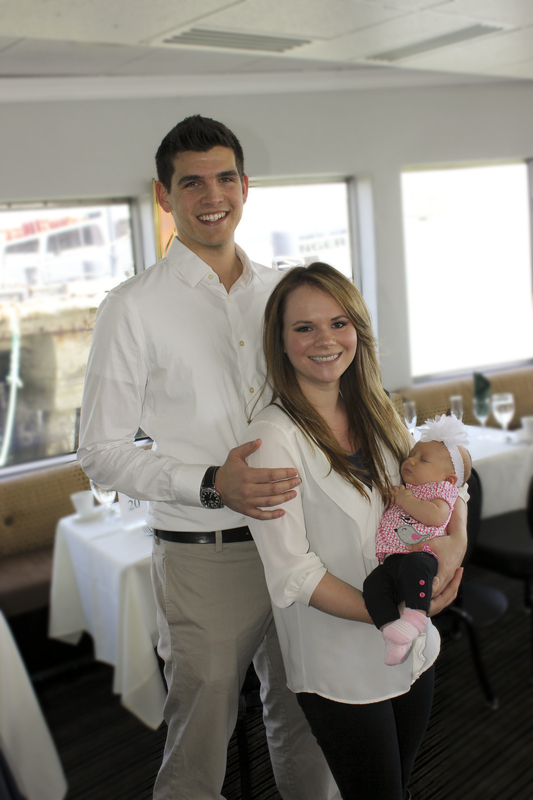 And because a post about Claire is never complete without a photo of our beautiful girl, here’s one of our little family on Father’s Day! We hope you have fun plans for the upcoming 4th of July weekend!